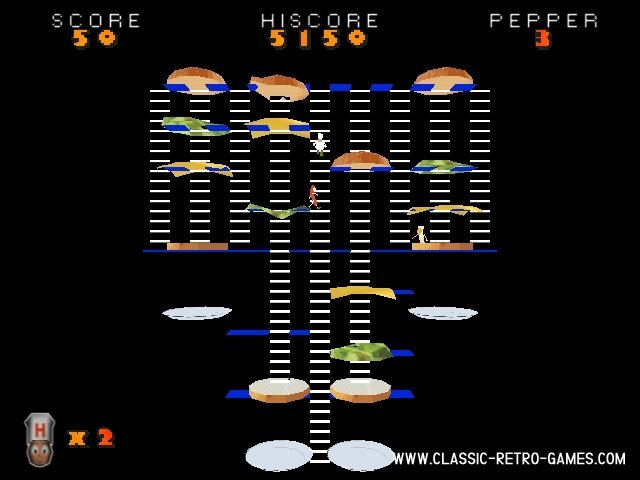 BurgerLand is a remake of the game called BurgerTime, released by Bally/Midway and Data East in 1982 (for the coin-op versions). This version is a remake for Windows PC. It is available free for download. Enjoy! Currently rated: 4.1 / 5 stars by 14 gamers.